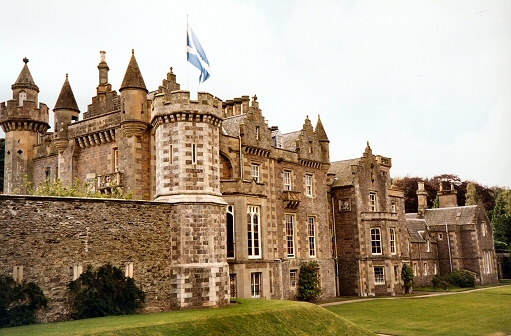 Description: Sir Walter Scott built Abbotsford House in 1811 on the site of a small farm house and it was completed in 1822. It contains Sir Walter Scotts collections including Rob Roys gun, Montose's sword and over 9,000 books in the library. 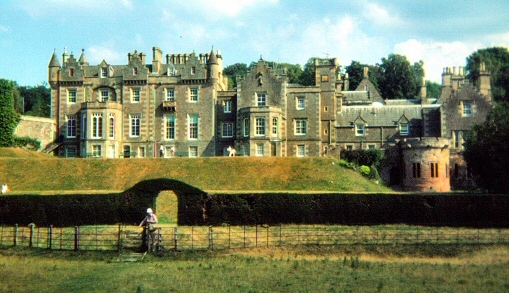 This view shows the main part of the house which leads to the banks of the River Tweed. The Scott Monument in Edinburgh was built in 1846 after his death. He is buried in Dryburgh Abbey. 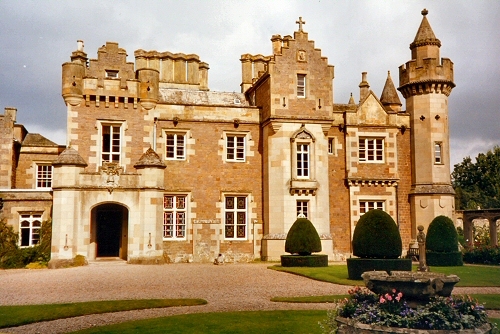 Description: This view shows the main entrance to Abbotsford House. Description: The full size of Abbotsford can be appreciated by this view from the River Tweed.